Win*Star 6.0 is the premier chart-calculation program because it easily creates so many chart styles using a variety of techniques. Listed are examples, click any to pop up a sample chart. Click on the thumbnail to pop-up a full size screen-shot sample of the particular chart. Astrology is, above all, a tool for exploring the self. The natal chart presents the astrological picture of each individual and its interpretation has long been the fundamental tool used to aid in describing personality. A basic Natal chart using the House Cusp Wheel with unequal houses and Aspect Lines. You can include options for True/Mean node, geocentric latitude, parallax Moon, and day/night Part of Fortune. Progressions are based on the actual orbital motions of the planets along the ecliptic. 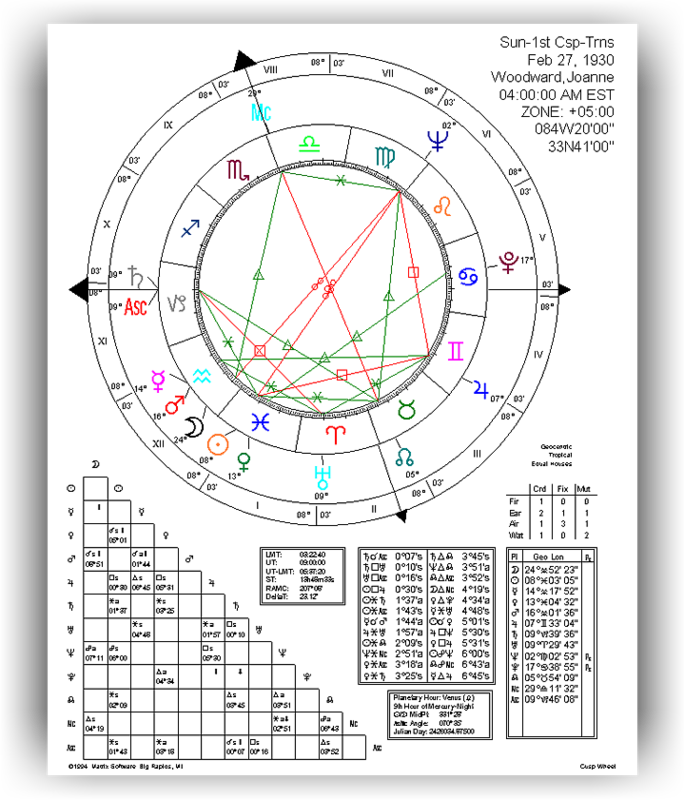 Progressed charts advance (or retract) the planets' ascendant and midheaven according to several formulae. This uses the secondary method where 1 day = 1 year. Thus the positions of the planets 22 days after birth are related to the 22nd year of the person's life. This progressed angle method is used with secondary, tertiary, and minor progressions. The exact time of the progressed chart is used to determine the corresponding RAMC (sidereal time) and this RAMC is then used to derive a set of chart angles using the radix geographic latitude. Directed charts are another predictive tool by which one planet is "directed" to another planet or point. 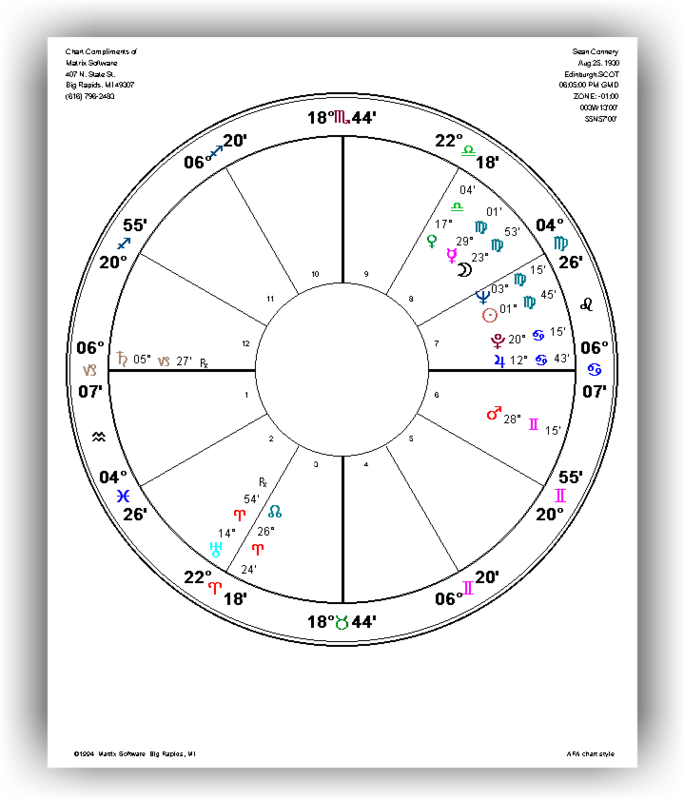 Directed charts add a fixed arc to the natal planets and comparing the directed positions to the radix positions to evaluate the occurrence of aspects. Among contemporary methods of direction, solar arc [one year of life = one day of solar motion] is one of the most popular. With degree-for-a-year arc directions, one degree of arc is represented for each year of life. This arc is then added to all relevant natal positions to find their directed positions. 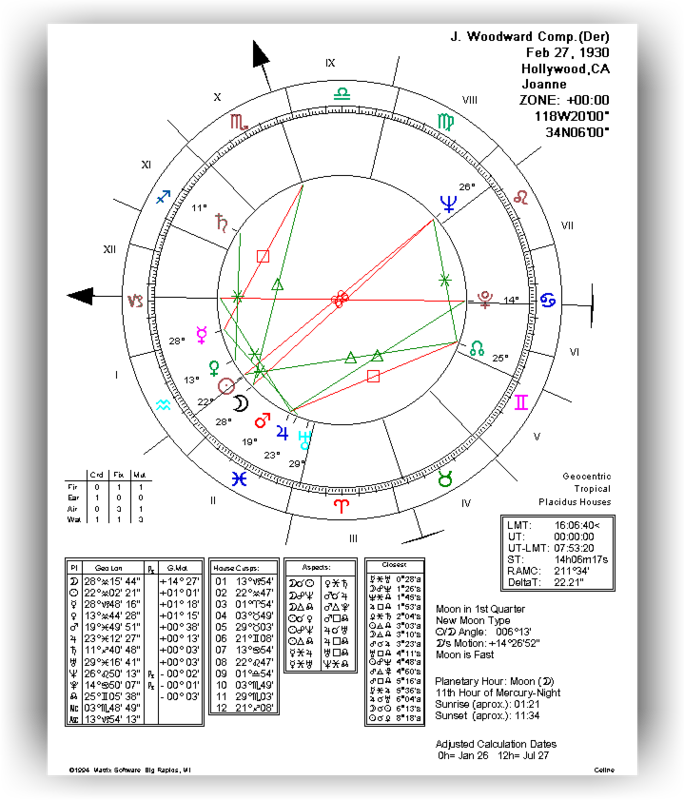 Return charts are calculated for the moment that a transiting planet or point returns to its exact natal position. There are several variations or methods of doing return charts and it is possible to calculate multiple return charts at one time without having to re-enter natal or return data. 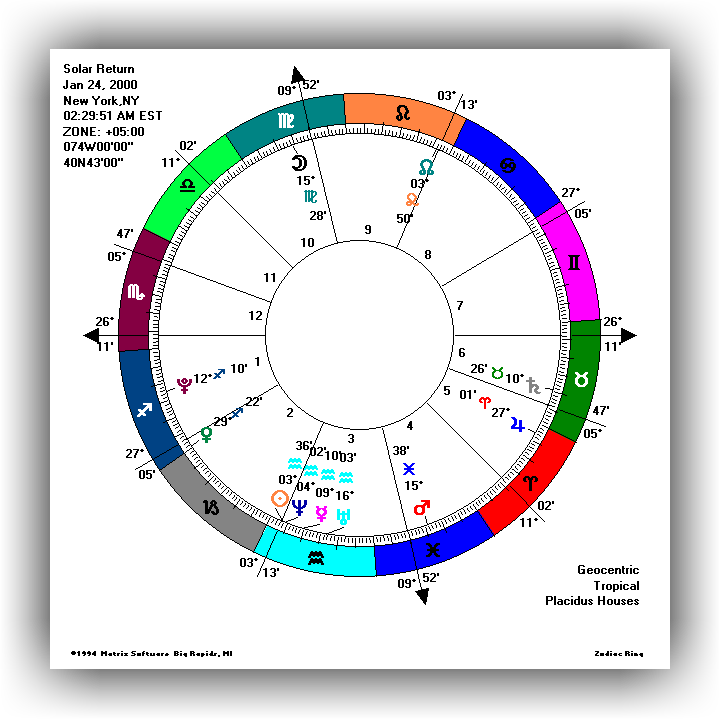 You may request any number of Solar Return charts to be calculated and printed at a single Win*Star session. This option pinpoints when a selected planet was, or will be, in the same position in the zodiac that it occupied in the natal chart. The transit return (called a "Phase-Angle" return) finds the point in time a natal angle is repeated between two transiting planets. The Incremental feature calculates the return for a specified angle (rather than the conjunction). Synastry refers to the comparison of two natal charts to establish the potential nature of the relationship between two individuals. 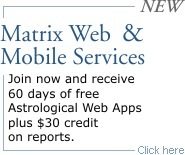 Win*Star offers seven Synastry options. This unequal-house wheel presents aspect lines from the inner chart to the outer chart, providing for comparison analysis. 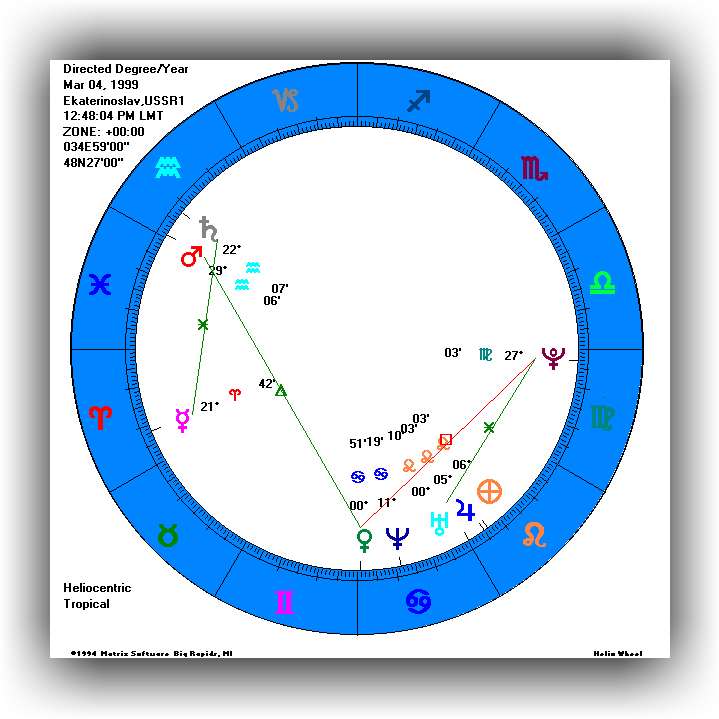 This chart represents the relationship between two individuals based on their combined (composite) midpoints. The SynGrid (Synastry Aspect Grid) often accompanies a synastry printout. It provides a comprehensive analysis of the planet and sensitive point aspects which exist between the two sets of chart data. English astrologer John Addey is credited for the development and popularity of harmonics, which, among other things, provides a methodology for statistical research in astrology. This technique is used in Cosmobiology, Uranian, and Hindu astrology through both charts and dials. 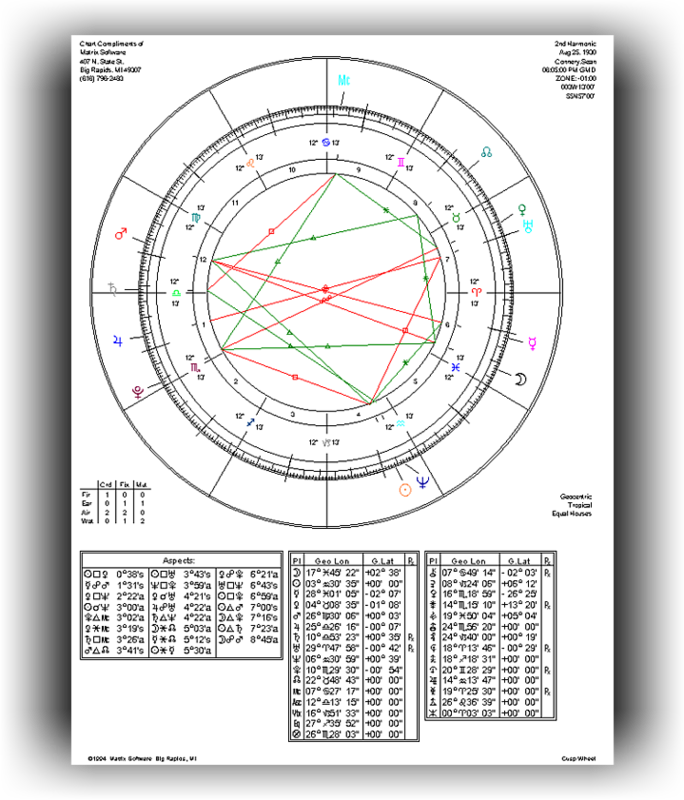 This chart form reflects the Natal planet positions prior to recalculating the charts using one of the Harmonics calculation methods. 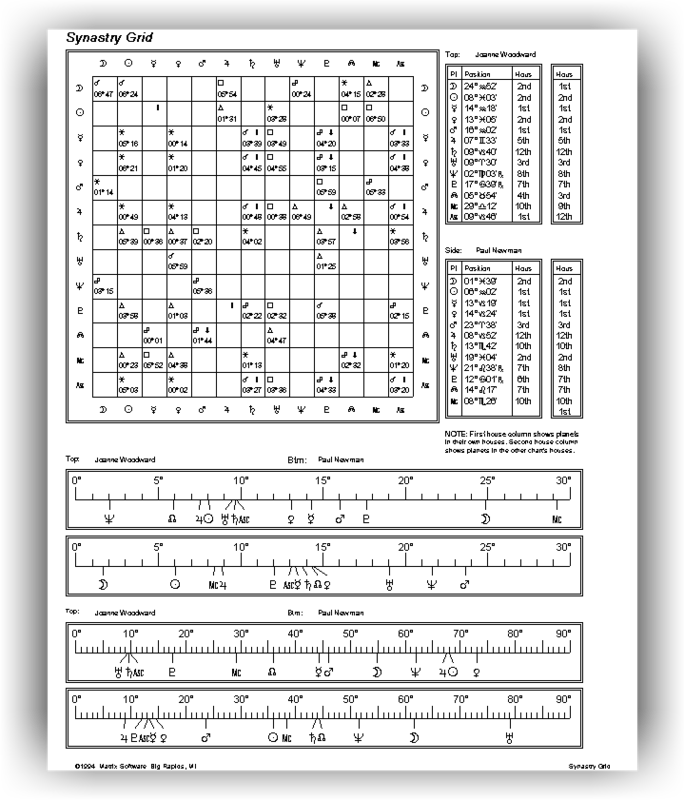 Win*Star 6.0 lets you choose to view a harmonic chart. Options include the 2nd through 12th harmonics (plus the Golden Section, pi, and "e"). Or you can simply type a harmonic in the box. 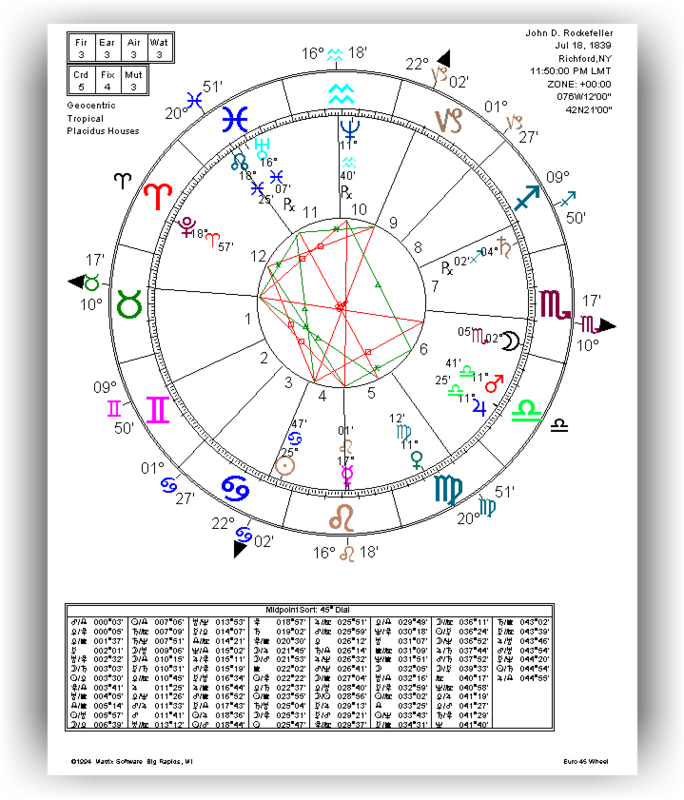 An Arc Transform chart is a type of harmonic chart determined by the angular separation between any two planets in the chart. 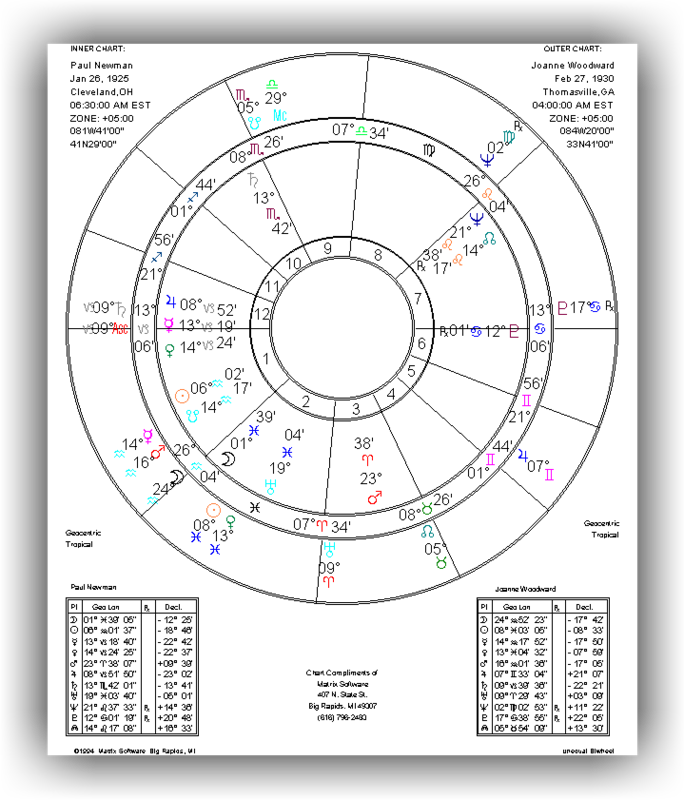 The way the chart is read depends upon the nature of the two planets chosen. For example, a Sun-Mars arc would be read differently than that of one calculated from the arc of Venus-Neptune or Venus-Pluto. 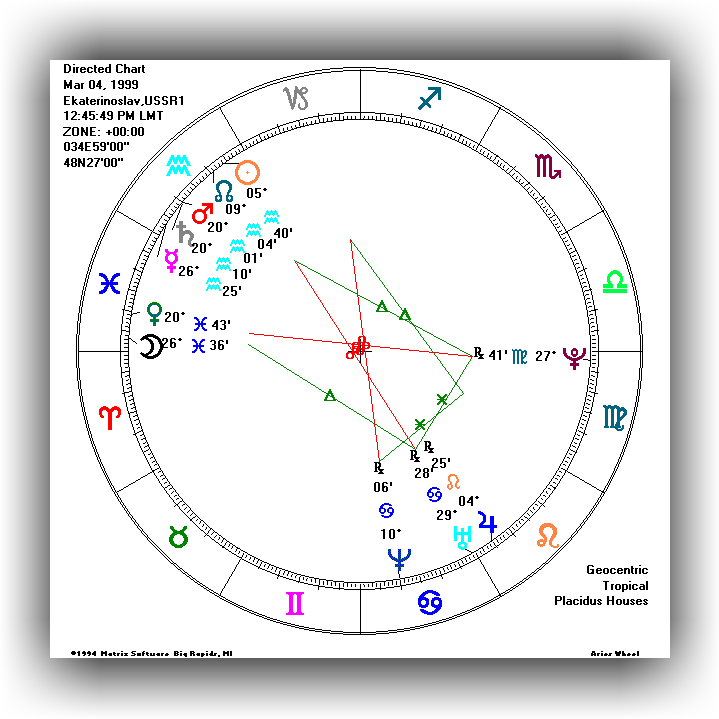 Draconic charts were popularized by English astrologer Pamela Crane. The Draconic zodiac has its beginning at the moon's north node. The north node is sometimes called the dragon's head (derived from the Latin draco, meaning serpent or dragon, hence the term draconic.) 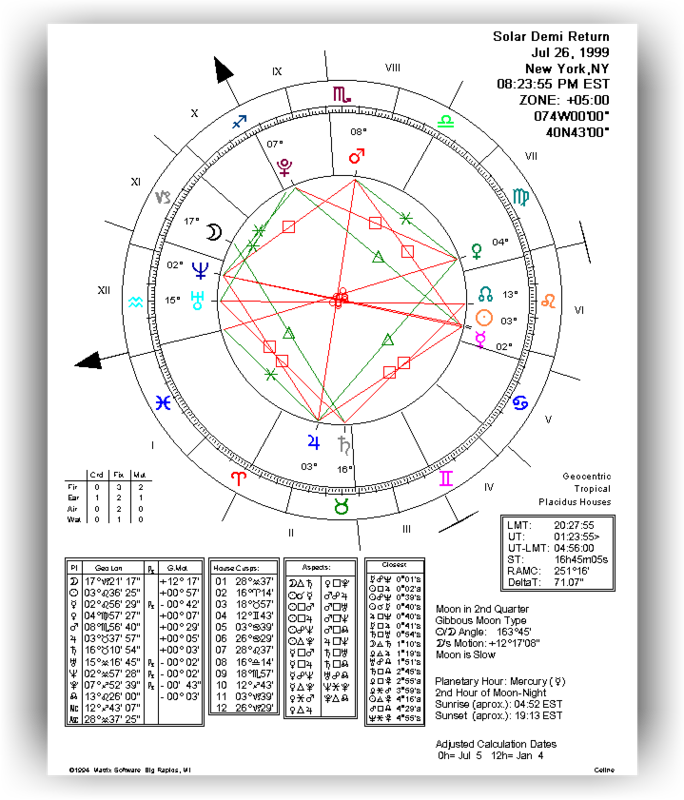 Win*Star 6.0 allows the draconic chart to be calculated from whichever node the natal chart has � either true or mean. 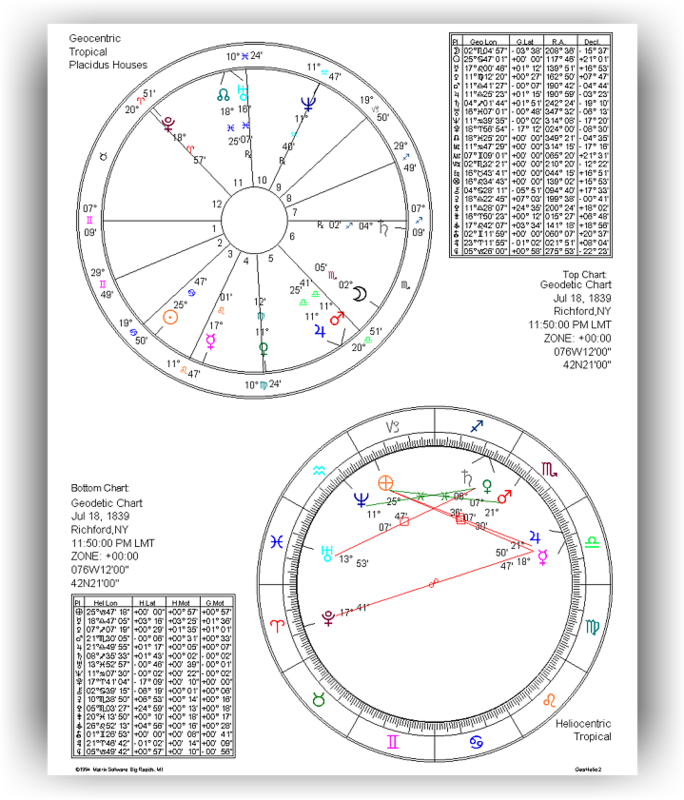 This chart form reflects the Natal planet positions prior to recalculating the chart using the Draconic calculation method. This chart reflects how the node (the ascending node) becomes the zero point or "draconic equinox." 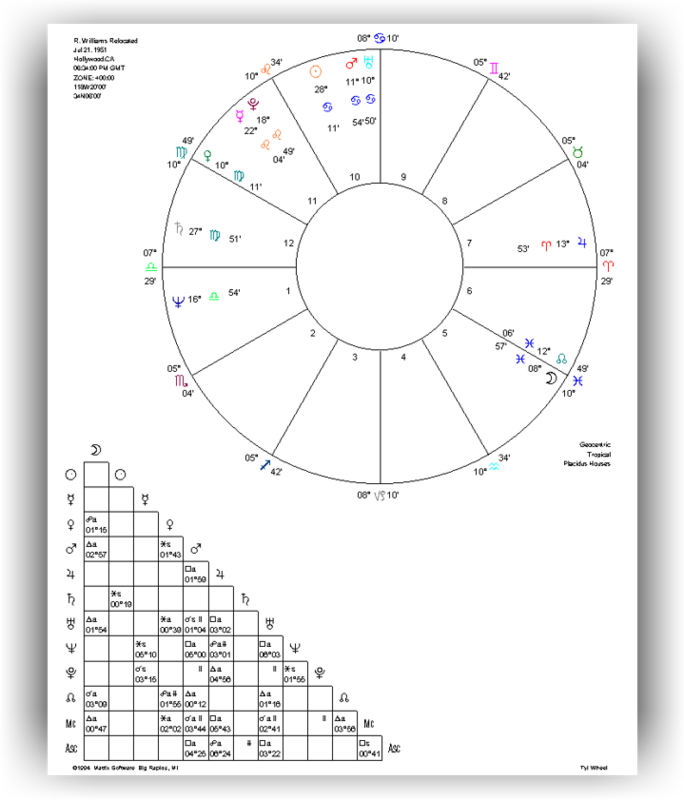 In the geodetic chart the house cusps are calculated with respect to the birth longitude and latitude, but not the actual birth time. Each degree of geographic longitude is understood to correspond to a specific degree of the zodiac, which in turn serves as the midheaven of any chart calculated for that degree of longitude. From that midheaven, the ascendant and intermediary house cusps of the chart are then derived. 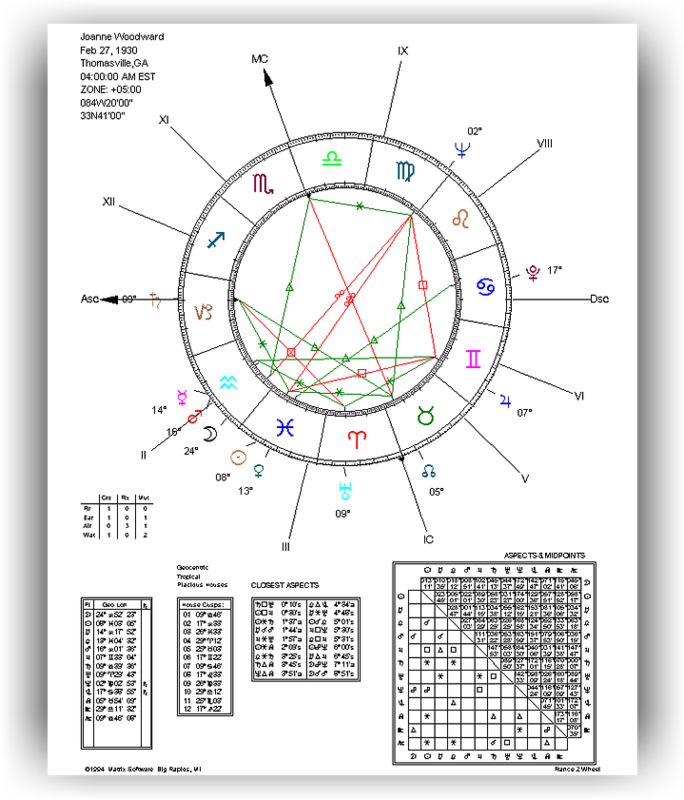 This chart form reflects the Natal planet positions prior to recalculating the chart using the Geodetic calculation method. 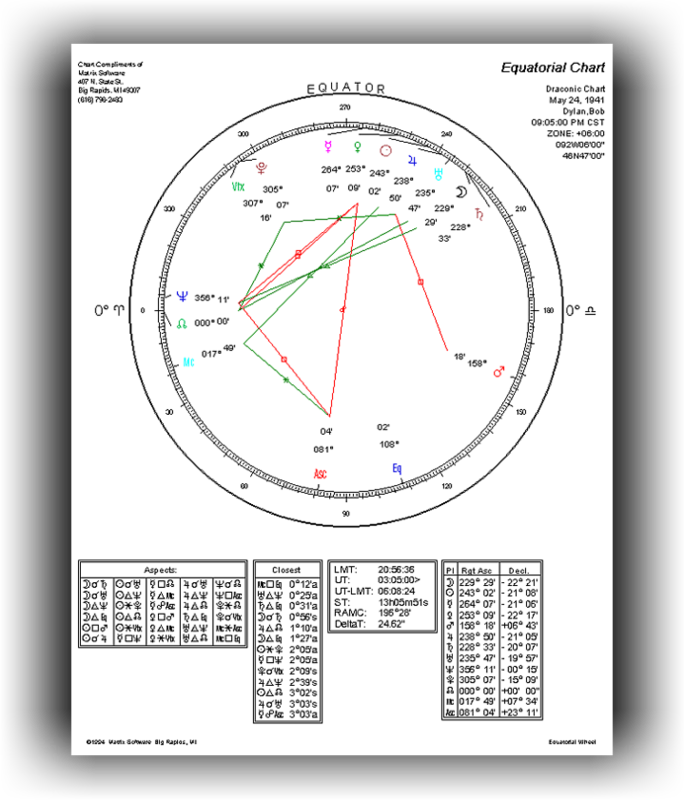 Charts relocated geodetically are used in mundane astrology and figure prominently in current earthquake research. Relocation is based on the concept that the planets' orientation to the house cusps is based upon geographical location. 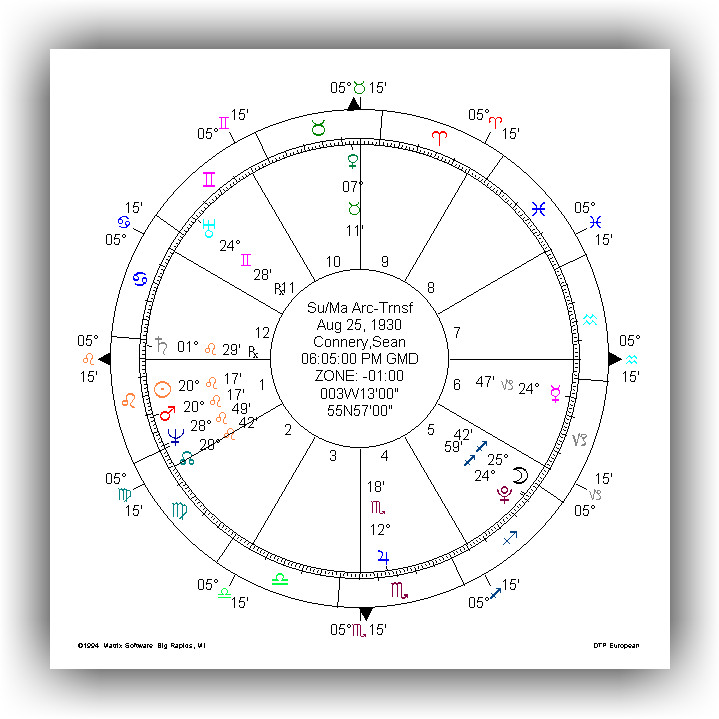 A relocation chart is calculated by simply casting house cusps for the new location, using the GMT of birth. Planet-cusp orientations for places other than the birthplace indicate the type of events and different spheres of life that would be in high focus at these locations. 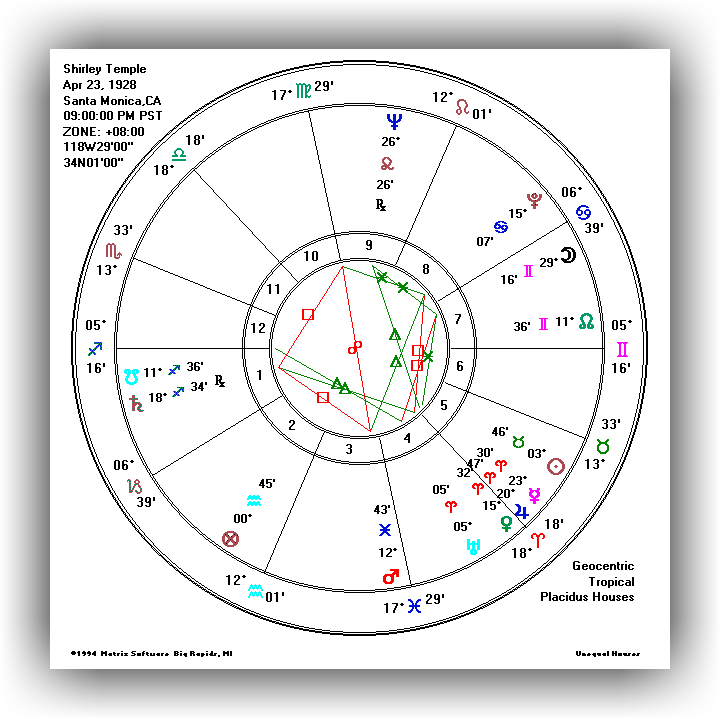 This chart form reflects the Natal planet positions prior to recalculating the chart using the Relocation calculation method. 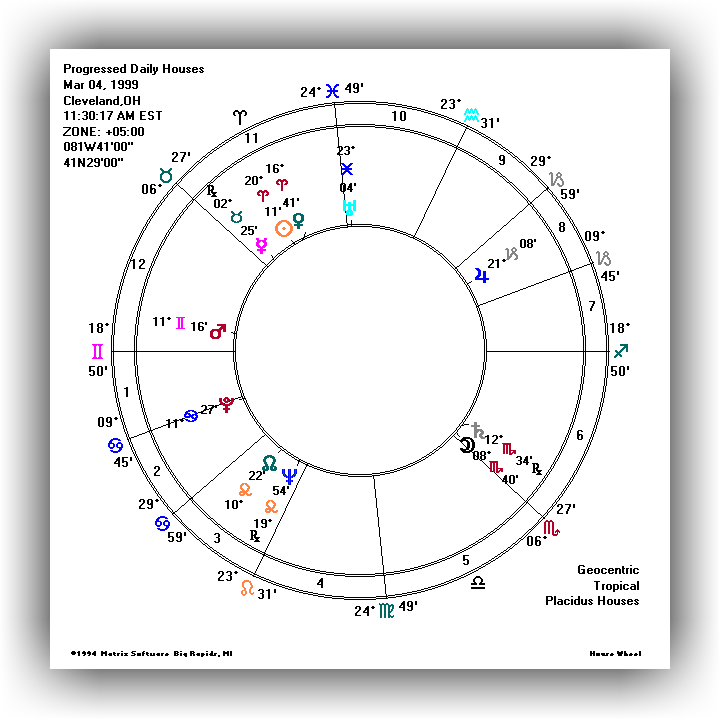 A Relocation chart showing that the zodiacal positions of the relocated planets do not differ from their original positions, but the new house cusps can differ dramatically. 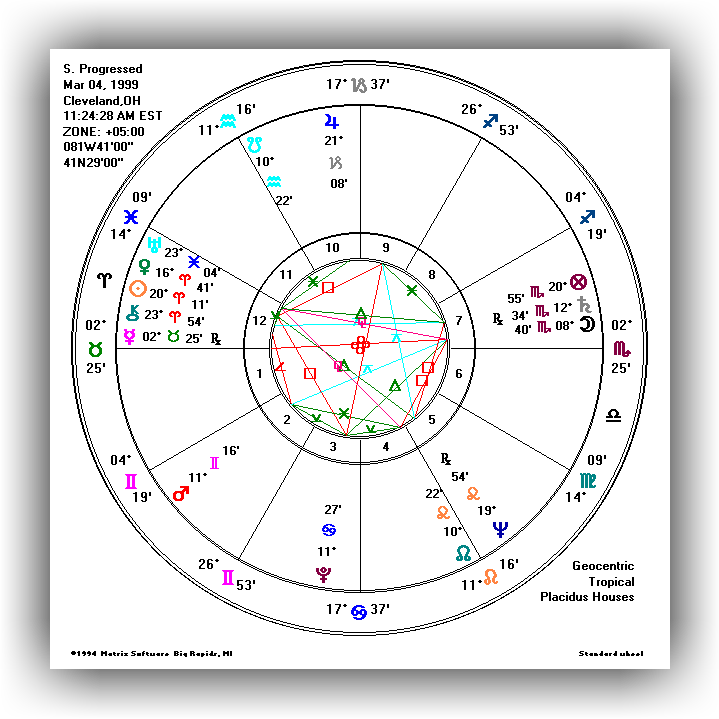 The planet-on-the-cusp option allows for a chart to be calculated placing any planet on one of the angles or house cusps. 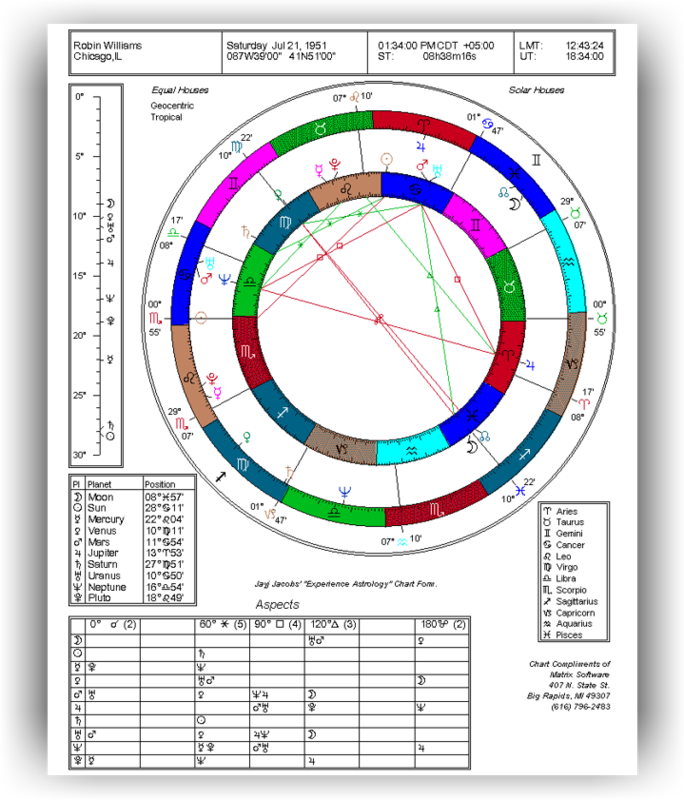 The most common example of this type of chart is a solar chart -- often used if no accurate birth time is available. 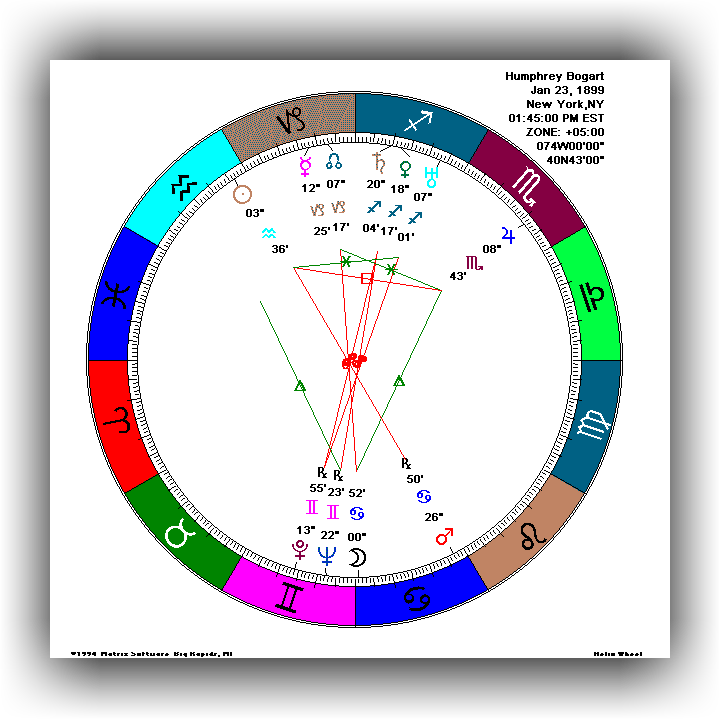 This chart form reflects the Natal planet positions prior to recalculating the chart using the Planet Cusp calculation method. 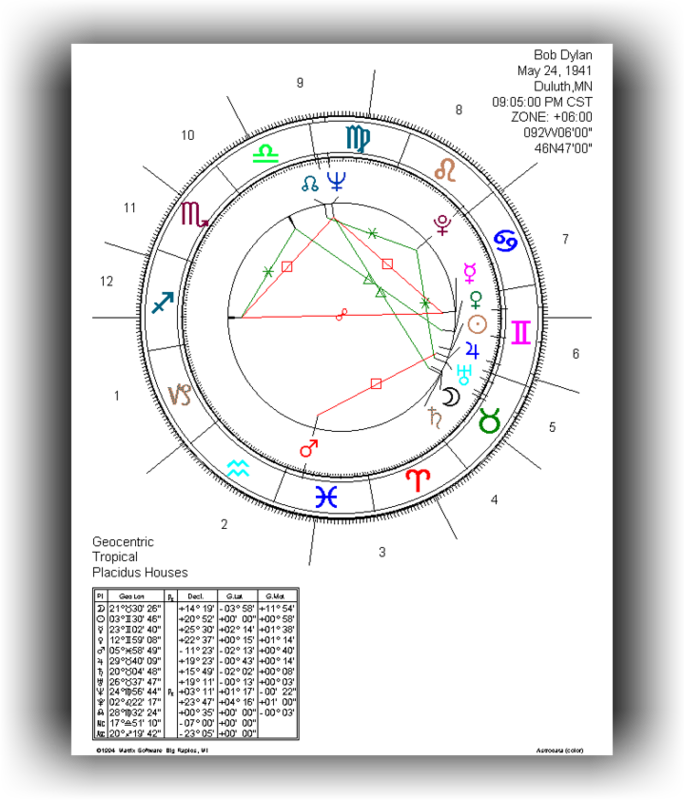 Many astrologers use a solar chart along with a natal chart calculated with the accurate birth time, to enhance a session with a client.